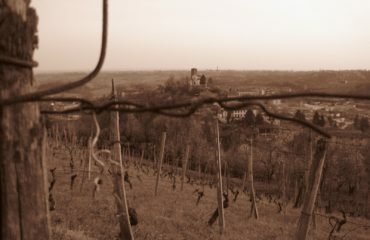 All about the Sweet Langhe. 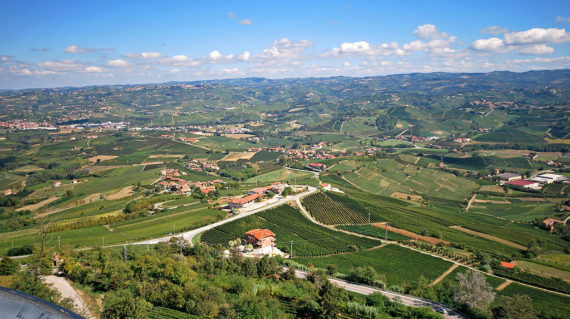 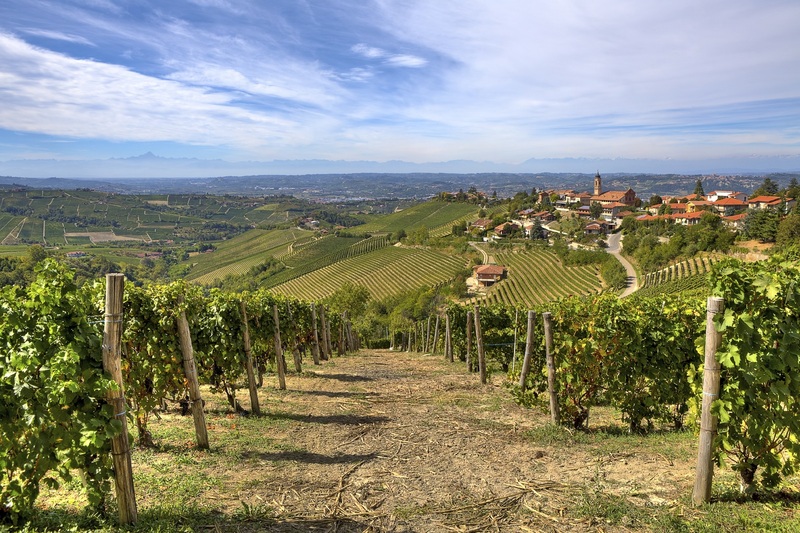 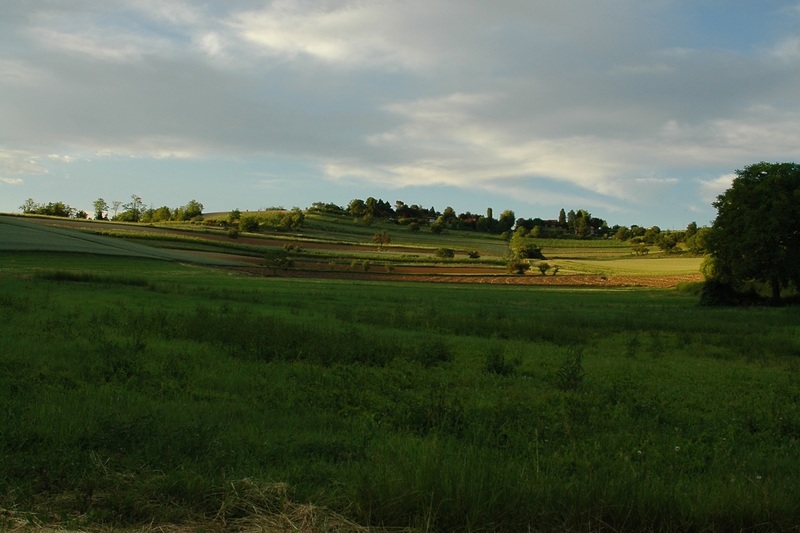 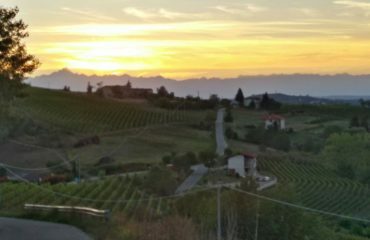 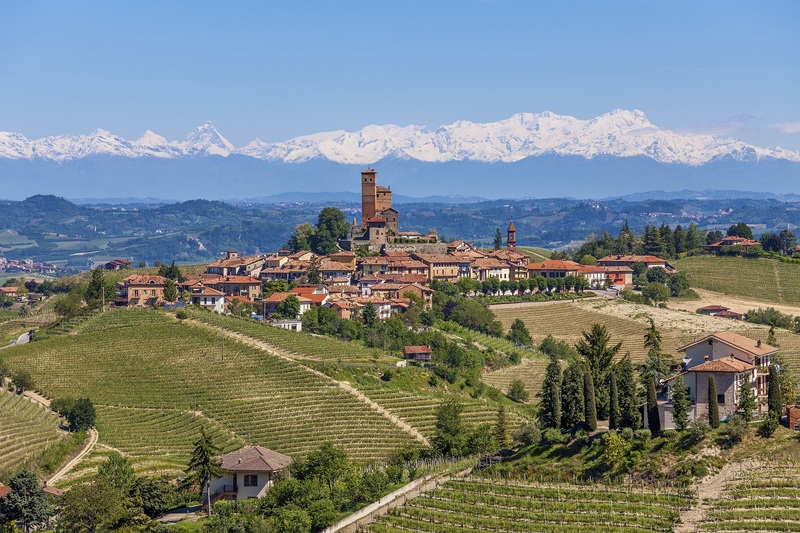 Stretches of rolling hills, as far as the eye can see, ancient villages and perched castles, a repetition of gentle slopes covered in vineyards whose rows draw rigorous geometries: these are the magnificent views of Langhe and Roero, that have become a World Heritage site. 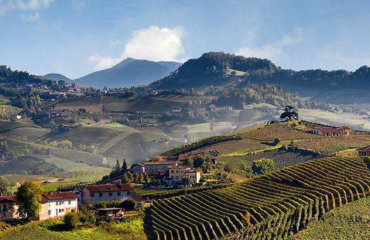 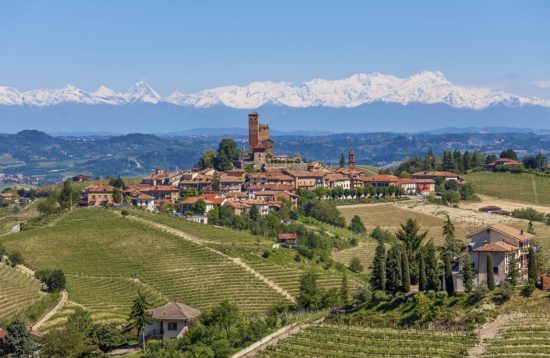 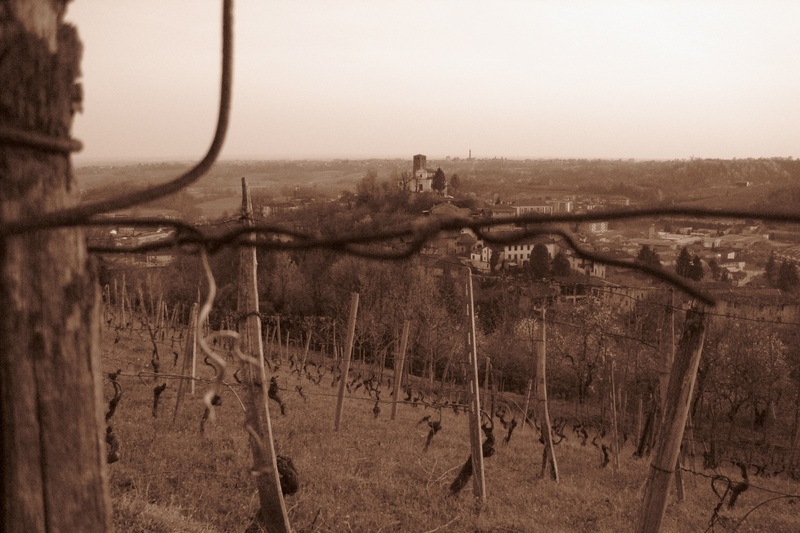 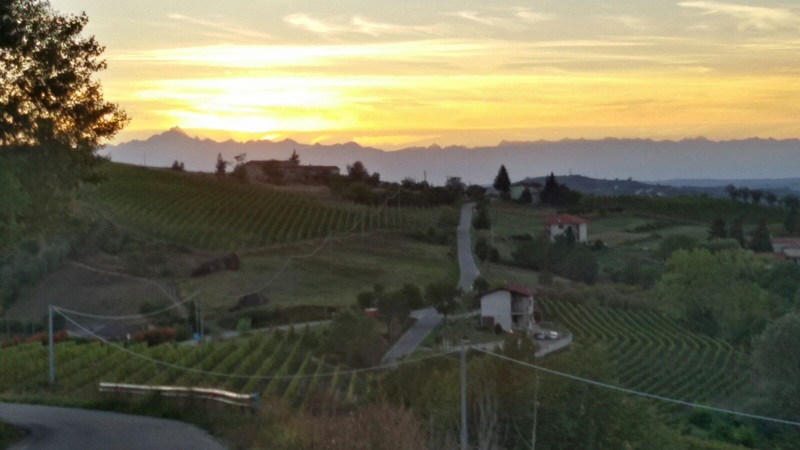 These are the wonderful wine producing areas of Piedmont. 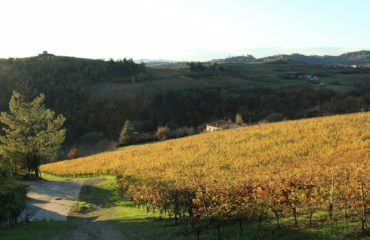 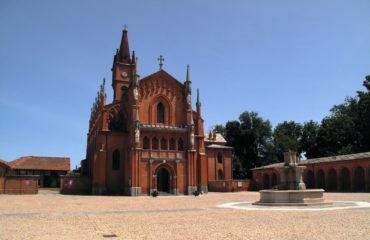 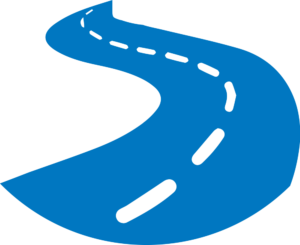 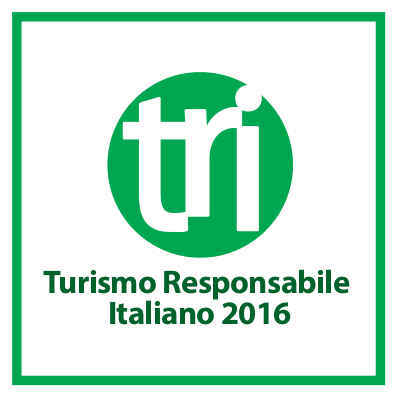 It is the breathtaking views and the genuine foods offered by this rich territory that we propose in our fabulous and eponymous tour. 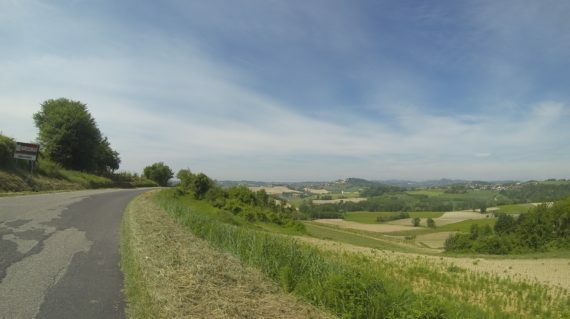 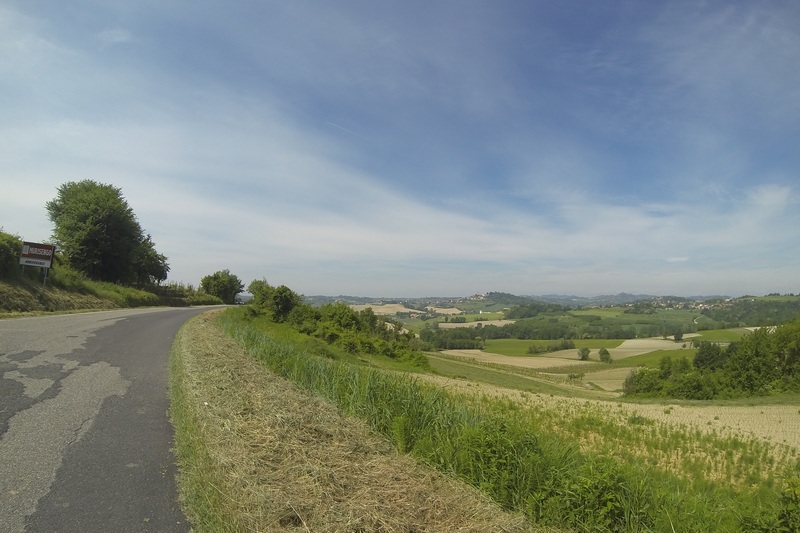 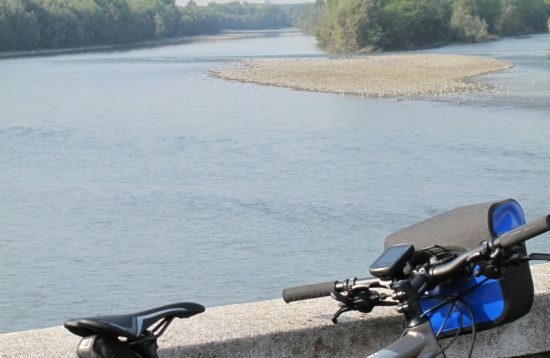 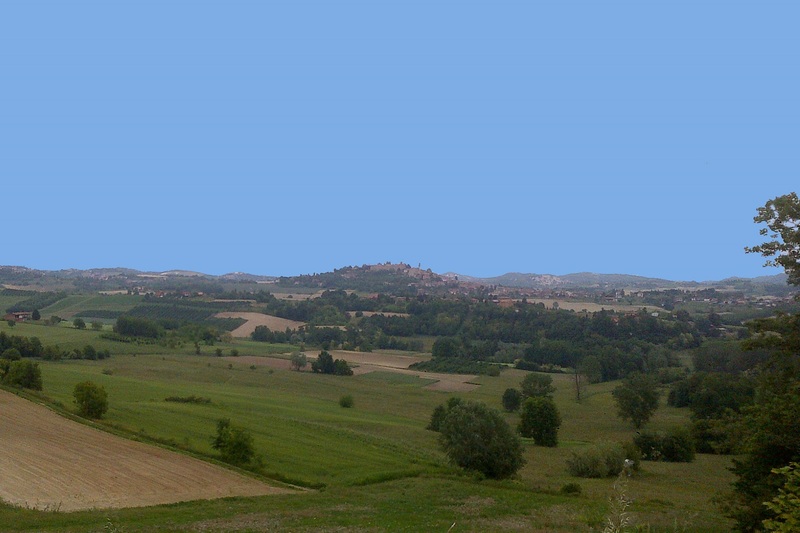 Today's route's theme will be the breath taking view that goes from the Lower Langa (the wine territory from where you first departed) all the way to the Higher Langa which is dominated by woods and by the cultivations of a fine hazelnut variety called "the gentle round of the Langhe", bordering the Liguria region. You are on the top of the Langhe at an altitude of 700m, which will allow us to get a 360° view of this amazing corner of Piedmont. This is the last day of the tour. 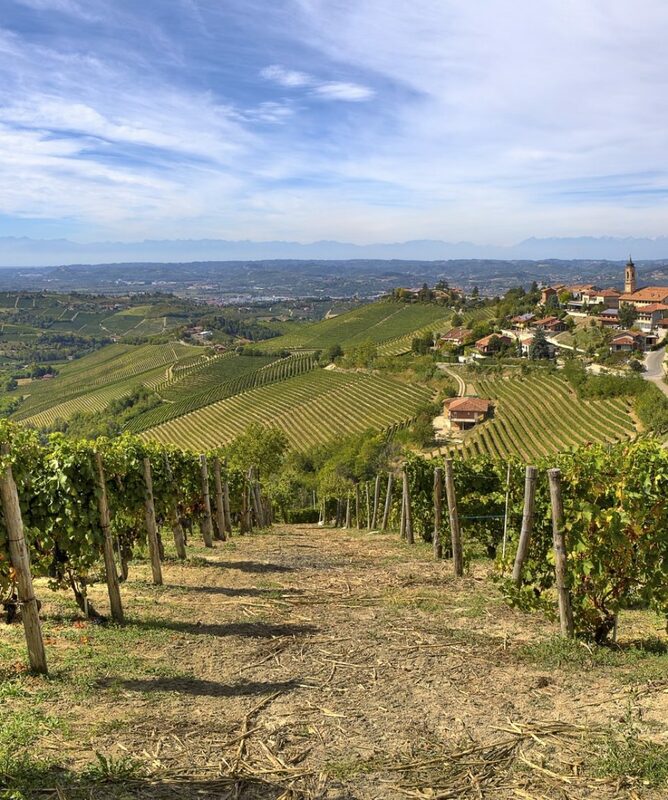 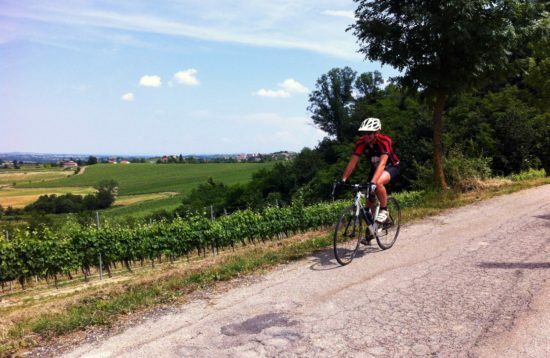 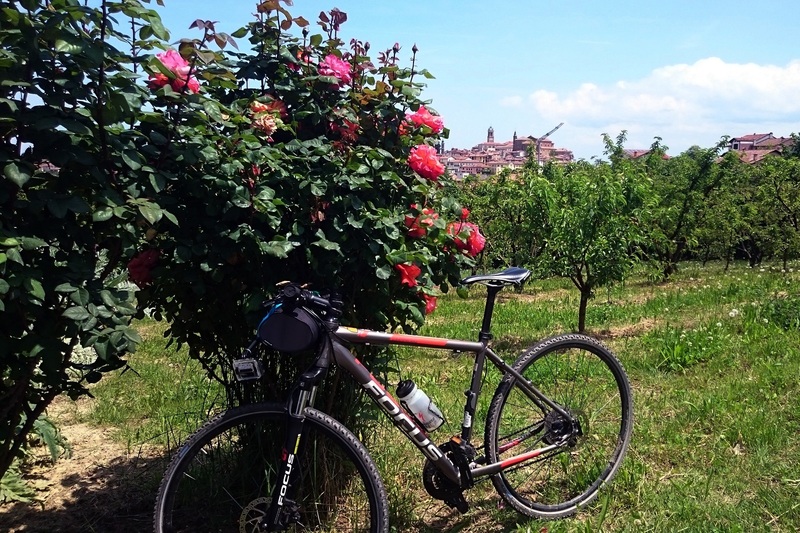 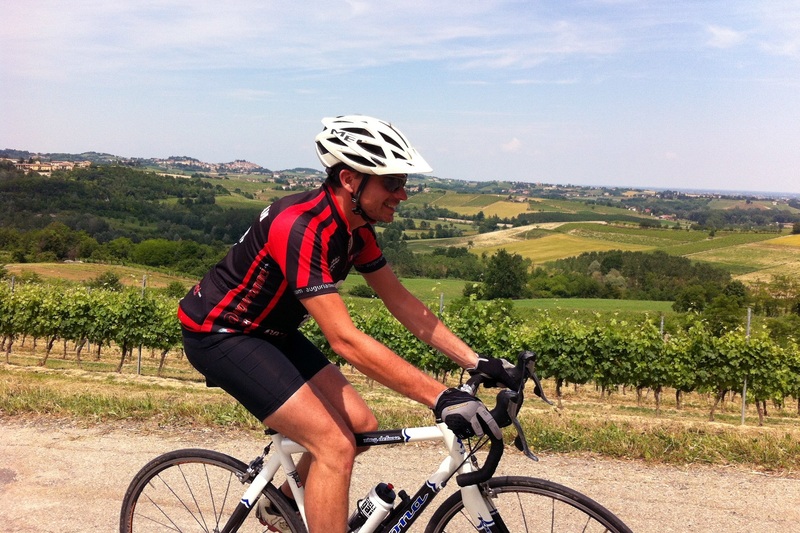 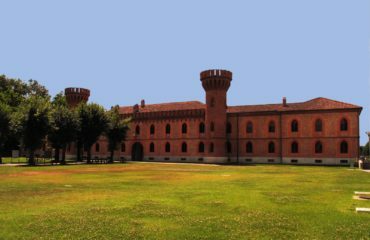 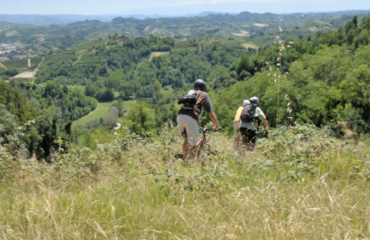 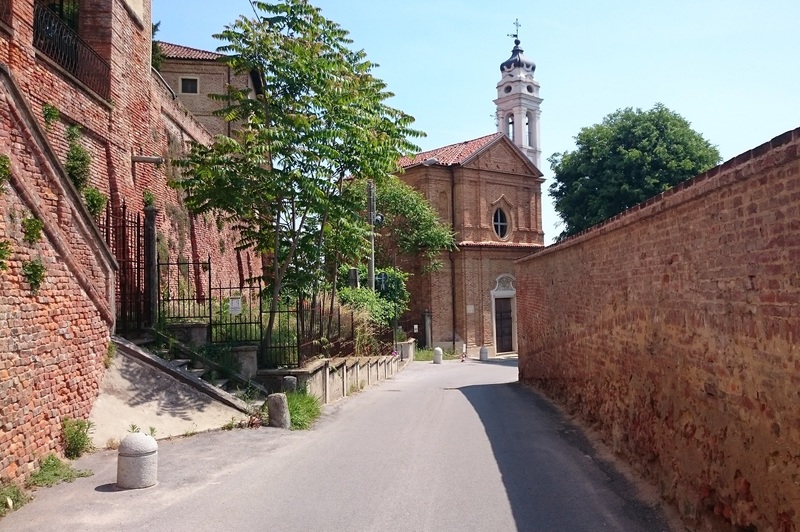 You can either enjoy the surroundings of Neive strolling in famous Barbaresco town and tasting this incredible wine or if you want to ride longer head north to Guarene castle and the Roero zone. 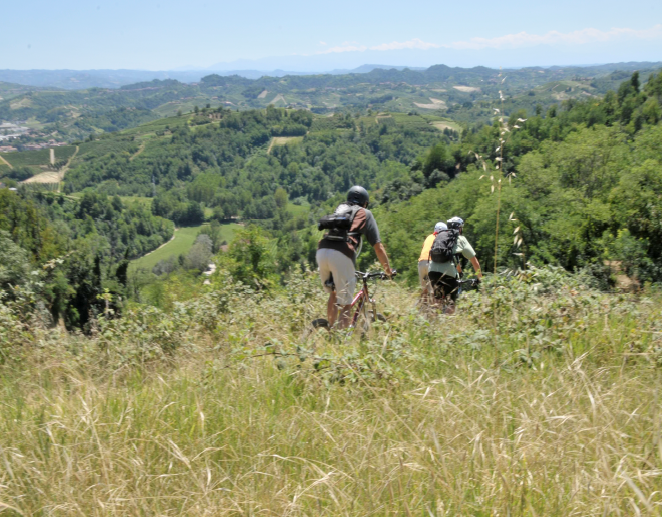 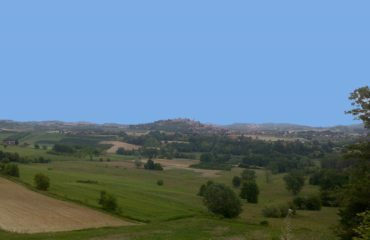 You can reach with a longer detour the “Rocche del Roero”, a particular territorial rock stratification with orges and canyons. 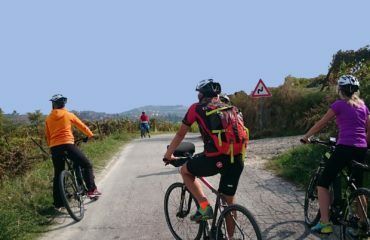 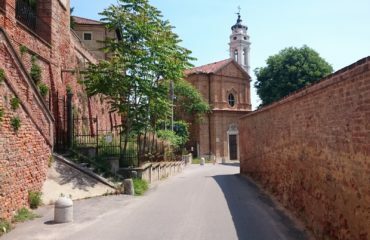 If you prefere to visit Alba you can get there with a downhill shortcut.